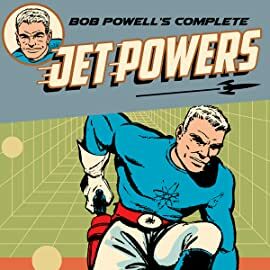 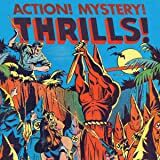 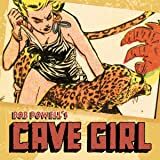 Early fifties science-fiction comics can seem light years from contemporary tastes, but Jet Powers, from cult favorite Bob Powell remains as entertaining and eye-catching as ever! 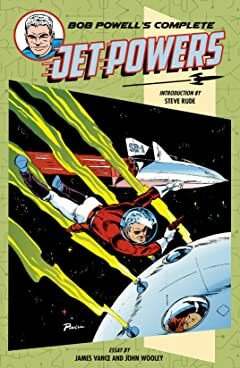 This deluxe hardcover collects the complete adventures of Jet Powers, known as "The Captain of Science," as he battles his diabolical adversary Mr. Sinn with the best 1950s-era technology at his disposal. 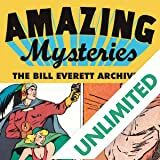 Includes all of the Powell-created stories from very difficult to find original sources Jet Powers 1-4 and The American Air Forces. 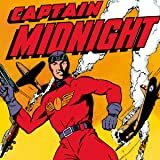 With an introduction by Steve Rude (Nexus) and an essay by Eisner-winning author James Vance (Kings in Disguise) and Fangoria columnist John Wooley.